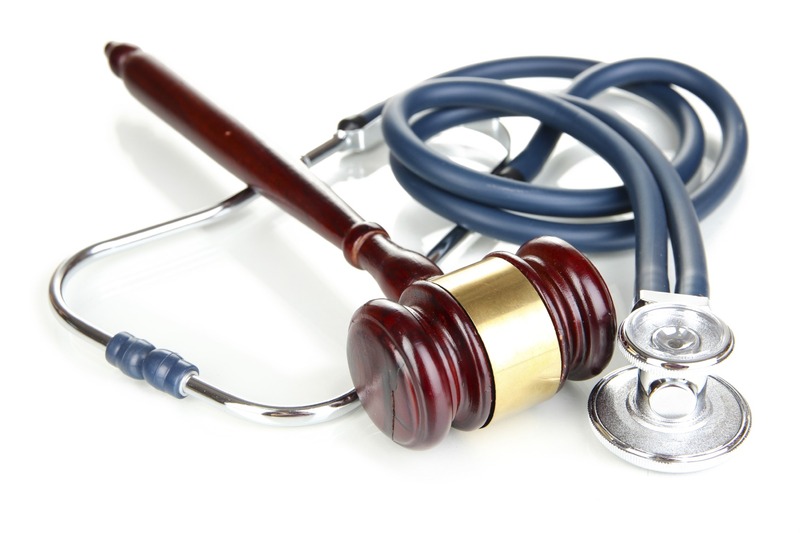 Common Misdiagnosis - Cancer Misdiagnosis | Legal advice for people affected by dental & medical malpractice. Early detection of cancer is the most important factor in battling the disease. If a tumor is discovered in its earliest stages, cancer is often treatable. However, when a tumor is allowed to progress and metastasize, it can reach the lymphatic system and enter the blood stream. This stage of cancer becomes life-threatening because the cancerous cells are able to spread and multiply anywhere in the body. Cancer is extremely difficult to treat in later stages. It is common in present-day society to develop cancer at least once in each patient’s life. There is no way to guarantee when a patient may get cancer or what type it will be, but there are known causes and risk factors involved. Some factors are external contributors, while others may be inherited predispositions such as a family history of cancer. A patient is wise to avoid certain activities, products, or chemicals to minimize any unnecessary risks. Chemicals, including specific plastics, cleaners, building materials, dyes, etc. Radiation, including UVA and UVB rays from the sun, cell phone radiation, etc. Other than avoiding known risks such as tobacco and alcohol, a patient can maintain better overall health to protect against many forms of cancer. Issues with weight and improper diet have been linked to cancers affecting the digestive tract. In an Australian study published during August of 2011, an increase in daily activity was proven to help colorectal cancer patients fight the disease and regain their health. Behavioral changes, vaccines, and antibiotics can all help a patient prevent cancer from developing. It is a cornerstone of cancer prevention to maintain a healthy weight through diet and exercise. About 30 minutes of physical activity 5 days a week will significantly lower a patient’s risk for cancer. The patient should focus on eating organically grown fruits, vegetables, nuts, and whole grains. Organic lean meats and low-fat dairy may also be eaten, but should be kept to a minimum. Certain elements, such as selenium, have also been proven to reduce cancer risk. It is important to keep in mind that some types of foods affect how the body absorbs prescription and over-the-counter drugs. A patient should discuss nutritional supplements during an annual check-up with a health care professional before adding them to a daily diet. Cancer has been a leading cause of death in the United States for many years. It is important to seek regular screenings for cancer and the various diseases that may cause cancer. The American Cancer Society has guidelines for gender and age-specific cancer testing. Age 21 and up – Women should begin getting checked for breast cancer, cervical cancer, and colon cancer. Age 20 and up – Men with a high risk for colon cancer should begin screenings. Age 40 and up – Men should begin prostate cancer testing. Pathology is the term typically used to describe the lab testing involved in the diagnosis of cancer. A physician will take a sample, or biopsy specimen, from a site of abnormal cell growth on a patient. The biopsy specimen is then transported to a lab, where the tissue sample may be analyzed with a microscope. Sometimes, tests of the cells’ proteins, RNA, and DNA may help identify cancerous or precancerous cells. A pathologist may also test for germs that link to cancer, such as the human papilloma virus (HPV). Cancerous tumors may also be found through radiologic imaging studies or felt as lumps during a physical exam. If the physician finds anything questionable, a biopsy and lab testing will still be required to ensure a definitive diagnosis. Most tumors are benign and unable to spread into nearby tissues. Malignant tumors are more aggressive and can dissipate throughout the body. When a doctor skips one of these critical diagnostic steps, a malignant tumor may be overlooked. This will allow the cancer to progress. Since later stages of cancer are not easily treated, failure to identify malignant tumors can lead to medical malpractice. “Cancer Facts & Figures 2012.” American Cancer Society. American Cancer Society, 2012. Web. 30 May 2012. “Cancer Statistics.” RN Advanced Practice Alert 1 Aug. 1998. Academic OneFile. Web. 30 May 2012. “Exercise can help guard against early cancer deaths: increased activity levels in patients with colorectal cancer could be vital.” Nursing Standard 25.49 (2011): 16. Academic OneFile. Web. 30 May 2012. McCarthy, Michael. “Selenium linked to lower prostate cancer risk.” The Lancet Aug. 1998: 713. Web. 30 May 2012. Smart, Michael. “Vaccine improves survival in patients at risk for recurrence.” Oncology Nursing Forum Sept. 2009: 593. Academic OneFile. Web. 30 May 2012.